The Heavy Duty Skid Steer Rock Bucket is made from top quality steel and is ideal for sifting out large rocks. It works great in pastures, lawns or construction sites, and will catch any rock or piece of debris that is larger than 2-3/8”. 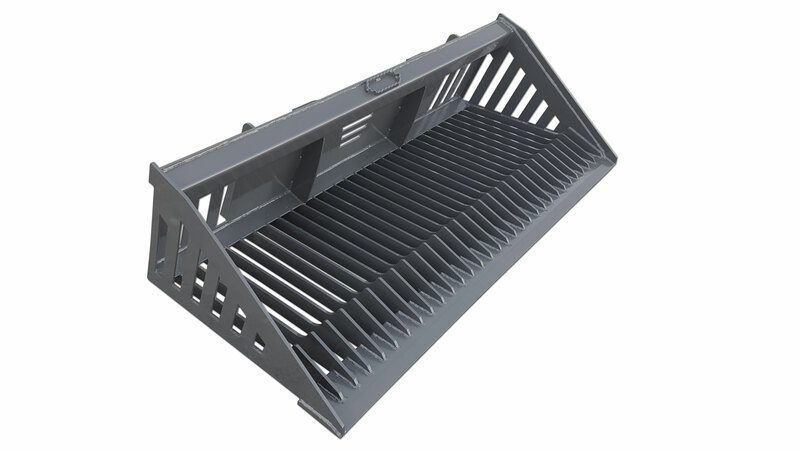 The rock bucket comes standard with 3/4 x 6 cutting edge and is upgraded to 1 x 8 edge when optional teeth are added. Optional weld on teeth with 1 x 8 cutting edge.